Last week, Primus announced that they'd be playing select festivals during the summertime. Today they've announced more dates as part of the "2013 Spring 3D Tour". Jambands.com reports, "The group collaborated with 3D Live from Burbank, CA to create the 3D content for their tour. 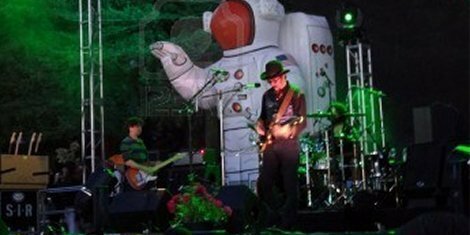 3D glasses will be distributed to people attending Primus’s shows in the spring."